Culinary sparks are set to fly when Merivale’s master of innovation Dan Hong and Yardbird Hong Kong’s arbiter of cool Matt Abergel join forces for an epic collaboration at Potts Point hangout Ms G’s, from 1pm on Sunday 3 March. Abergel, an authority on yakitori chicken, is Co-Owner and Executive Chef of RŌNIN and Yardbird Hong Kong. Having worked at Masayoshi Takayama's Masa in New York and at Hong Kong's Zuma, Abergel opened Yardbird Hong Kong in 2011, earning a cult-following for his beak-to-tail approach in the kitchen. At Ms.G’s, Hong and his team serve up balanced, textural and delicious dishes, with a playful approach that criss-crosses a range of Asian cuisines and borrows from others. The one-off Matt Abergel x Ms.G’s smash is set to pack a punch, with a flavour-packed menu of Abergel’s signature dishes including the famous yakitori, Katsu Sando, chicken and egg rice and sweetcorn tempura, alongside Ms.G’s favourites – cheeseburger spring rolls; prawn toast, herbs and Yuzu aiolil strange flavour burrata; prawn and black fungus wontons and soy dressing; roasted eggplant, miso caramel Furikake; and wok fried greens, dried shrimp and smoked soy. Chef Dan Hong shares five of the things he loves about Sydney. Forget the Hollywood blockbusters. 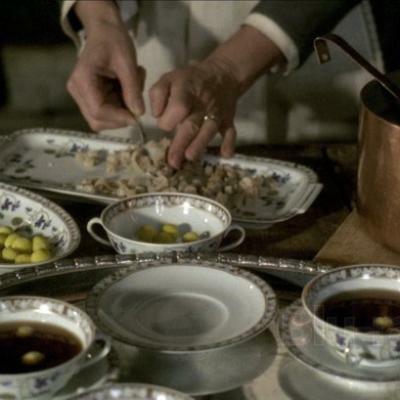 Foreign films reign supreme when it comes to food. As cultural exchange between China and the West grows, Chinese films are unearthed like long lost treasure. Politically and socially potent, as well as lush in their poesy and romance, here are five of China’s classic films.